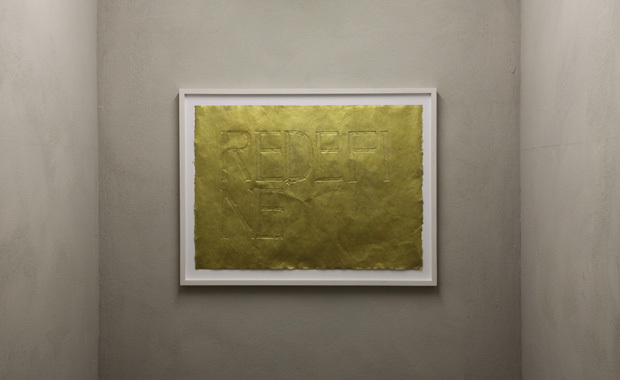 REDEFINE, 2011, Oracle from the grave of Friedrich Nietzsche (Röcken Kirchhof), frottage with gold pencil on handmade gold paper, 47 x 66 cm, frame, unique piece. 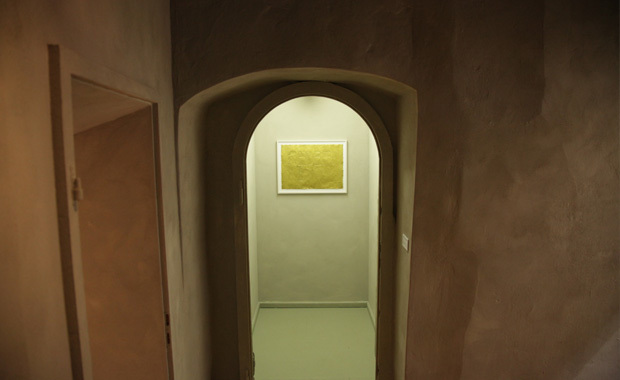 Featured in the ‘What Happened to God?’ exhibition at ACC Galerie Weimar. Channelled on a rainy afternoon in Röcken, Saxonia / Germany. Friedrich Nietzsche was stubborn but told us to “Redefi-ne”. 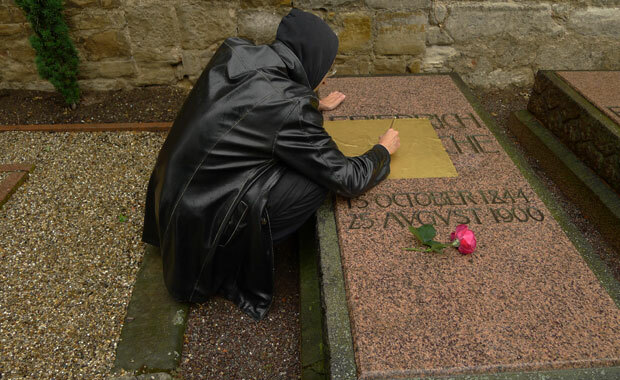 We left him a rose. Visit the brand new ‘ORACLE’ at ACC Weimar. July 17th – Aug 28th 2011. The show ‘What Happened to God?’ also features blasphemous works by Christian Jankowski, Marc Bijl, Peter Beste, Rory Macbeth and Cristina Lucas.